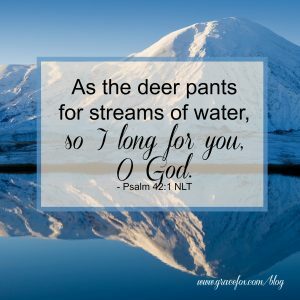 Remember the worship song, “As the Deer Pants for the Water?” It’s based on Psalm 42:1-2a – “As the deer pants for streams of water, so I long for you, O God. I thirst for God, the living God.” Purging my house in preparation to move aboard a sailboat has brought this song to mind. I pack pictures of my kids and grandkids, and I realize that being a mom and grandma is fulfilling, but those relationships will never satisfy my soul’s deepest needs. I sell furniture that’s been with me for nearly 40 years. I salvaged, stripped, sanded, and stained it. I beautified my home with it. I so enjoyed these pieces, but they never satisfied my soul. I donate clothes and shoes. They made me feel good when I wore them, but they never satisfied my soul’s yearnings. I purge my kitchen cupboards and find cake mixes that expired three years ago. What was I thinking when I bought them? I must have gone grocery shopping when I was hungry. They didn’t satisfy my appetite let alone my soul. I dig into my hall closet and discover a plastic bin filled with fabric scraps, ribbon, lace, and cross-stitch patterns. I find three Zip-loc bags containing pretty rocks I’ve collected on family holidays. Good intentions for hobbies I hoped to pursue someday, but not soul-satisfying. Last May we bought a patio set. It drew me outside for months to write. It enabled me to enjoy the squirrels and raccoons in our yard and smell the alyssum I’d planted months prior. It became our dining room. The patio set was a highlight of the summer for me, but it didn’t satisfy my soul. Purging my house has become a spiritual exercise. I’m realizing how easy it is to fall into wrong thinking, to assume that relationships, material possessions, hobbies, and food can fill the empty places of one’s heart. As I let these things go, I realize afresh that there’s only one thing that satisfies our deepest needs—our relationship with our Creator. He is what our soul longs for, and we’re designed for intimacy with Him. We might try to fill that hole with any number of things but it’ll never work. 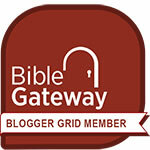 I thirst for God, the living God. He quenches my soul’s thirst. Nothing else comes close. With what might you be trying to satisfy your soul’s thirst?